Brian Antonson (born 1948) is a 'radio guy' through and through, and has been able to parlay his love of the spoken word into his love of the written word through various publications. Brian Antonson attended Simon Fraser University, co-founding the campus radio station there in the mid-1960s, and then graduated from the Broadcast Communications program at the British Columbia Institute of Technology. He worked in commercial production and on-air at CKNW New Westminster, picking up a few cherished awards along the way, eventually becoming Production Director for CKNW/CFMI. He moved to BCIT as a radio instructor in the late 1970s, becoming program head for the Radio Program, and then Associate Dean for the Broadcast department until his retirement in 2010. Along the way, he engaged in a two-year academic leave, managing radio station CFVR/850 in Abbotsford. He has been very involved in several community organizations, and was president of the Mission 2014 BC Winter Games, the Mission Heritage Association, the Broadcast Educators Association of Canada, along with other involvements, including much MC work and speaking on publications he has been involved with. 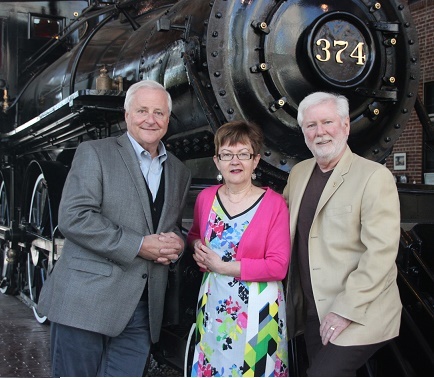 He has had numerous articles published in various newspapers and magazines, and has been co-author of two bestselling books with Rick Antonson and Mary Trainer, Slumach's Gold: In Search of a Legend (Heritage House 2007) and Whistle Posts West: Railway Tales from British Columbia, Alberta, and Yukon (Heritage House, 2015). For several years in the 1970s, Brian Antonson and his co-authors owned Nunaga Publishing, later Antonson Publishing, which published two dozen works, including several bestsellers. Antonson embraces many interests and passions, including Great Britain, the search for the actual person behind the historical King Arthur of legend, hiking, walking, photography, Corvettes, and travelling. Canadian Frontier (Antonson Publishing, 1977). With Gordon Stewart. Canadian historical articles.